Initially released in June 2011, Laravel is a free, open-source PHP web framework, created by Taylor Otwell. It is intended for the development of web applications following the model–view–controller architectural pattern and based on Symfony. Features of Laravel includes a modular packaging system with a dedicated dependency manager, different ways for accessing relational databases, utilities that aid in application deployment and maintenance, and its orientation toward syntactic sugar. Initially released on February 28, 2006, and licensed under MIT License, CodeIgniter is an open-source software rapid development web framework, for use in building dynamic websites with PHP. Moreover, CodeIgniter is most often noted for its speed when compared to other PHP frameworks and can also be modified to use Hierarchical Model View Controller which allows developers to maintain modular grouping of Controller, Models and View arranged in a sub-directory format. Zend was initially released on March 3, 2006. It is an open source, object-oriented web application framework implemented in PHP 7 and licensed under the New BSD License. Zend framework is basically a collection of professional PHP based packages. This framework uses various packages by the use of Composer as part of its package dependency managers. Zend Framework provides to users a support of the Model View Controller (MVC) in combination with Front Controller solution. Initially released on April 2005, CakePHP is an open-source web framework that follows the model–view–controller (MVC) approach and is written in PHP. It was modeled after the concepts of Ruby on Rails, and distributed under the MIT License. It uses a well-known software engineering concepts and software design patterns, such as convention over configuration, model–view–controller, active record, association data mapping and front controller. CakePHP started in 2005, when a Polish programmer Michal Tatarynowicz wrote a minimal version of a rapid application development in PHP, calling it Cake. He then published the framework under the open source MIT license and opened this to an online community of developers. In December 2005, L. Masters and G. J. Woodworth founded the Cake Software Foundation to promote development related to CakePHP. Symfony is a PHP web application framework. It is a set of reusable PHP components or libraries. Symfony was published as free software on October 18, 2005, and released under the MIT license. Symfony aims to speed up the creation and maintenance of web applications and to replace repetitive coding tasks while using a low-performance overhead used with a bytecode cache. Symfony also aimed at building robust applications in an enterprise context and aims to give developers full control over the configuration, from the directory structure to the foreign libraries, you can customize everything. To match enterprise development guidelines, Symfony is bundled with additional tools to help developers test, debug and document projects. 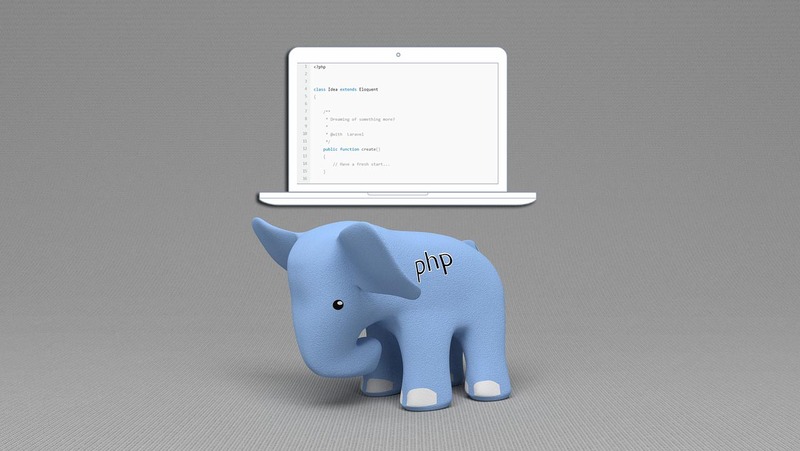 All in all, these PHP frameworks are a great help in developing the web. All of which have their own beauty and complexities in which programmers should explore. YII and Phalcon are also preferable frameworks for many developers, however, they aren’t as popular as these five. If you want to learn and practice on these frameworks, you can check our list of Top 5 Best Websites to Learn Web Development. do you download them for use? I believe Phalcon PHP should be on this list. It is one of the fastest that is available in the market. The Phalcon PHP has been considered on your list?